What is a Demat Account and Trading Account & How to Open them ? Home / Trading / What is a Demat Account and Trading Account & How to Open them? People invest in stocks and shares with an idea of making money in a fraction of a second. But the stock market doesn’t work like that a person to invest ins a stock or a share, he or she should avail some knowledge about the business or the tradings. When it comes to investment, there are varieties options available for people, which is online and offline as well. Perhaps, people prefer to reach out for stock and shares. A Demat account is a format of electronic certificate released at the time of registering for stock exchange tradings. These Demat accounts hold a possession of electronic certification instead of physical certificate proofs of the investment. And these Demat accounts are opened by the investment advisor or broker of the investor, who practically help the investor make their decisions in terms of share and stock profits. In the stock market if a person wants to start trading in the trading business, for that the account holder should hold a trading account. 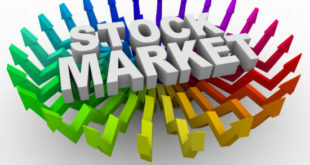 This trading account will help that person to proceed with their stock market exchanges for better profits. Moreover, when stock markets take a fall or rise in the stocks and shares of different companies. At that time the investor should register themselves in the stock trading. And after the completion of such registration process, the investor receives a trading account to work on. How to Invest in Share Market in India? How to Invest in Mutual Funds in India? To open a Demat account the investor should link their savings account to Demat account for further process. And then the investor should select a DP which is Depository Participant (DP). And while choosing a depository participant, the investor need to choose a DP give the list attached to the process. There are certain levels of details required to open a Demat account. And after successful selection of depository participant, the investor will be directed to fill in all the account opening details. At the time of filling in the account opening form, the individual should be ready with all the documents mattered for the Demat account. There will certain places where the document attachments should be mentioned before submitting it electronically or physically. Moreover, for the completion of the form filling, the person needs to submit their PAN card copy and 2 passport size photos. As there is only one document necessary to open a Demat account. Therefore, at the time of submitting the form that person needs to bring in the originals of the PAN card copy. The verifier will proceed the form submission after the verification of PAN card and photo copies. And at the end once all documents and authorization process are cleared, then the applicant will receive an account confirmation details. And with the account confirmation, details, the applicant will receive an account number and account ID. These details should be kept safely for the transactions in the Demat account. To start a trading account, an investor need to select a broker or a firm through which the trading process start. Choosing a right firm or a broker is very essential, if the investor is relying on a good amount of stock exchange profits. There are several stock broker firms available in online and the offline market. Apparently, the investor needs to discuss a fair amount of brokerage for the services offered by the broker. Finally, after a discussion and comparison of brokerage rates, the investor chooses the firm to continue their stock relation with. Once everything gets settled, the investor should meet the stock firm to proceed with the account opening process. From there the investor will be directed to fill in the KYC documents necessary for the account. These KYC includes address proof, age Proof and photos. At this stage of verification, the investor should submit their KYC documents to the stock office, along with the originals. After completing all necessary information and documents required for the trading account, the investor will receive account registration details. These registration details will help them to start their transactions in the trading account. At the end bottom line is that to open a Demat and Trading Account, a person should know all the above mentioned details to check their chances at the stock market.